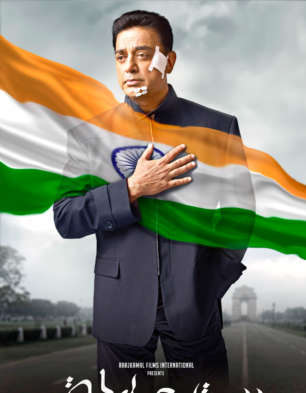 You don't really carry many expectations from the music of Vishwaroop 2 since this one is an action film and doesn't really warrant much space for any special soundtrack, except for may be a situational song or two. The film isn't been released with music as its selling point either and hence at best one expects the three songs put together by composer Mohamaad Ghibran and lyricist Prasoon Joshi to be functional. First to arrive is the title song 'Vishwaroop 2' which arrives in a regular and EDM version. Both are rendered by Aravind Srinivas and Sarath Santhosh, and are primarily put together to create a dramatic appeal during the film's narrative. 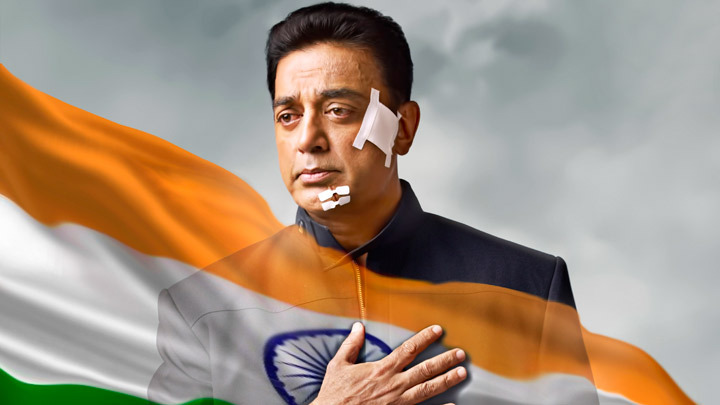 A theme track that further re-establishes the character of Kamal Haasan and the mission that he is on for his country, 'Vishwaroop 2' just about manages to sail through. Next to arrive is a mandatory love song which has Sathyaprakash and Andrea Jeremiah (who is also the leading lady of the film) pairing up for 'Ishq Kiya Toh'. A semi-classical track where Sathyaprakash sounds a lot like Sonu Nigam, this one doesn't really manage to register much of a presence despite being heard three to four times. A barely passable track, it only makes you play on the last song fairly quickly. Kamal Haasan brings himself behind the mike for yet another semi-classical track, 'Tu Srotu Hai', which has the kind of lyrics that hardly warrant anyone to hum it around after it has been heard. He is joined by Kaushiki Chakrabarty and Master Karthik Suresh Iyer who chip in for the female and the kid part, and together the trio just about manages to wrap up this song that again fails to make much of a mark. All in all, a forgettable score that doesn't really do much to elevate the film's prospects.